“… science is a complex and heterogeneous historical process which contains vague and incoherent anticipations of future ideologies side by side with highly sophisticated theoretical systems and ancient and petrified forms of thought” (Feyerabend, Against Method, p. 105). What was so revolutionary about the Copernican Revolution? Many people might assume that it was the rejection of the Ptolemaic theory that the sun and the planets revolved around the earth and the acceptance of a heliocentric paradigm. But what turned out to be far more revolutionary was a change in the ways humans study the natural world. The great Grecian philosopher-scientist, Aristotle, proposed that the heavens were composed of 55 concentric circles, known as deferents, upon which all celestial bodies moved. At the center of Aristotle’s universe lay the earth. Along these deferents, each body moved on a smaller epicycle. 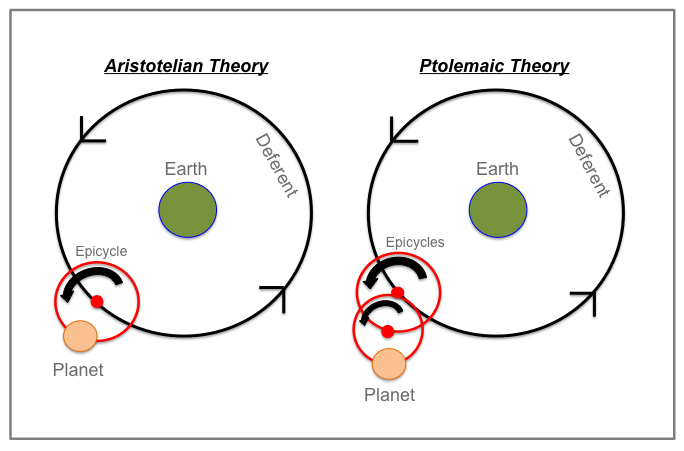 Several hundred years later, Claudius Ptolemy adapted Aristotle’s system, including in some cases epicycles-upon-epicycles, which helped to account for some of the retrograde (backwards) movements of the planets and their varying brightnesses. With the exception of Aristotle and his students, today we associate Grecian philosophy with the school of Rationalism, which holds that reason is the primary source and means of testing knowledge. In contrast, Aristotle believed that the senses were our greatest source of knowledge and he and his students avidly studied the natural world. In this way, Aristotle is often considered one of the earliest Empiricists. Obviously today we realize that Nicolaus Copernicus and his proponents, such as Galileo Galilei, were correct and the earth and all the planets of our solar system revolve around the sun. However, ironically, the Ptolemists during the Italian Renaissance were more closely aligned with Empiricism because, with the methodologies and theories available at the time, the Ptolemaic system was more successful in explaining a broader array of observations. For instance, if Venus were actually rotating around the sun rather than the earth in an orbit whose distance from us should vary by a factor of about 40, why then does it appear to change in size very little throughout its cycle? 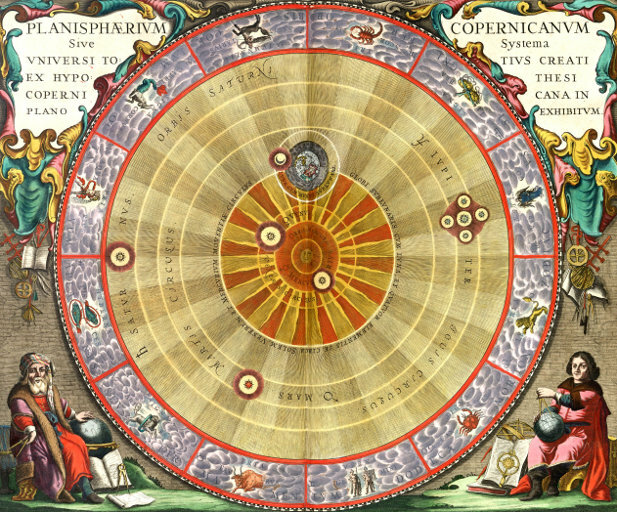 This and other observations caused many within the scientific community (and the Church) to be wary of Copernicus’ theory because other fields of science (e.g., optics) were only in their infancies. “Appearances are often deceiving” ~Aesop. Nevertheless, Copernicus’ theory gathered proponents over time and eventually the tides turned and scientists learned that Empirical observation was not always the most reliable of investigative tools but required reason (Rationalism) to temper its tendency to mislead. And thus the Italian Renaissance ushered in a new scientific era of investigation that combined both schools of thought. Stricter adherence to the scientific method in modern times, a more stringent peer review process, tighter competition for funding, and an over-reliance on technologies (including computers) to read and interpret data, has led to a moderate rejection of the Copernican movement by placing less and less emphasis on Rationalism and more emphasis on Empiricism once again. Today’s science seems to fears the philosophical, rational basis upon which its history is founded. Why? Perhaps because if we were to admit that science still has much in common with its cousin, Philosophy, we would be discrediting our accomplishments in the eyes of the larger scientific and lay communities. Much of this current tendency may be a reflection of the heated debates between Evolution scientists and Christian opponents that have gone on since the 18th century, during which time many scientists have taken refuge under an umbrella of pseudo-factualism, attempting to raise theory beyond the reach of debate by calling it “fact”. Since the 1970s, Creationists have in turned followed suit, attempting to do the same with their own Biblically-derived concepts while conveniently forgetting that one of the overarching tenants of Science handed down to us from Aristotle is that the laws of nature are autonomous and not explicable via miraculous intervention. Note: I’m a staunch Evolutionist and see daily support for the relatedness of living things in all aspects of my work so much so that I consider any grossly different alternative theory ridiculously unlikely. However, here we’re talking about Epistemology, not the credibility of theories, which is an altogether different topic. 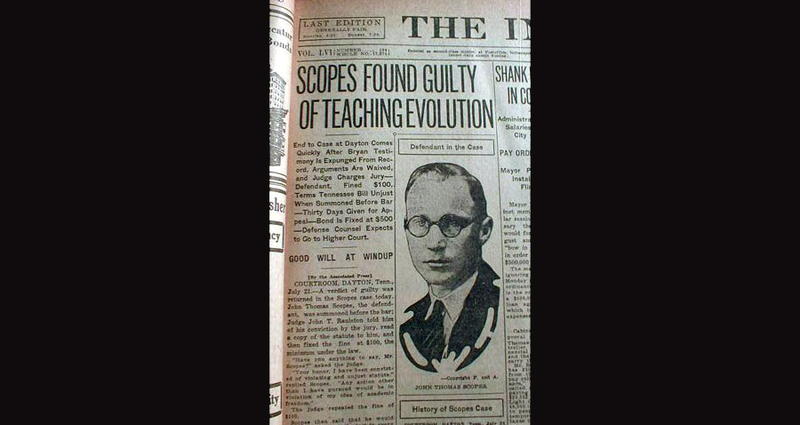 Newspaper report of the conviction of the school teacher, John Scopes, who taught Evolution to his students. Sadly, the modern demand from layperson and scientist alike requiring scientific investigation (particularly in the realms of biology and medicine) to be a form of truth-seeking, with the unfortunate assumption that all theories not currently in dispute are labeled “scientific fact”, leads society into a catch 22: any ideas not labeled as factual are rarely given fair hearing, but any weaknesses of ideas that are labeled as such are improved only with much pain and reluctance. Scientists still use Rationalism, we just can’t admit it because we are now under such scrutiny in the public eye that we’ve all come to believe the equation, “science = fact”. But it doesn’t. Here is how the equation actually reads: “scientific investigation = best methodology for studying, understanding, and predicting the natural world”. It is not fool-proof. It is prone to all the foibles of which the human mind is capable. But that reality should not be surprising nor compromise the field’s integrity. As humans, we already know that it is impossible– and not even preferable– to separate our humanity from the subjects we study. After all, it is human reason that often interprets the data we collect in order to build it into a larger coherent model. And while this stage of the scientific process is prone to many errors, it’s also the stage in which creativity– that aspect of human invention that ties all our creative disciplines together– brings our work to the next level. It’s the part of science that no computer will ever be able to replace. This is not related to the present article, but I am interested in getting your take on this. I have autism spectrum disorder (on the Asperger’s side of the spectrum), Goldenhar Syndrome, major depression and anxiety disorder. I recently had a genetic test through an alternative health practitioner. I’m not deeply into alternative health treatment, but was looking for ways to supplement conventional medicine and go closer to the source of the problem in tackling my neurological challenges. I wasn’t expecting to find any smoking guns in a genetic test not geared toward neural tube defects. However, when the results came back, I found I was homozygous for MTHFR mutations. Both the 677C and 1298A alleles were implicated. ( I don’t have the results with me at the moment, but would be glad to provide the details upon request.) Two other heterozygous mutations elsewhere in the genome were found, probably most significantly COMT. What is your take on this? Hi, Pamela. I wouldn’t say I find that surprising, however given your Goldenhar syndrome, I wouldn’t rule out the likelihood of other more expected rare mutations related to the condition. However, genetics is complex and it’s rare that a single gene, even for a rare condition, is responsible for the full range of phenotypes– especially when we’re talking something like autism. So you may be looking at some polygenic effects, particularly as I’m guessing the penetrance of Goldenhar-related mutations for autism is less than 100%, suggesting other factors’ involvements. In the light of Madhyamika Buddhist philosophy too, anti-Copernicanism is yet another form of clinging. If the Earth is the centre of everything, then that implies we are. It is an extension of the desperate need for self “significance” and human exceptionalism. The unwillingness to “let go” of our desperate need for self and species exceptionalism draws us to pseudoscience as an antidote to what we perceive as the “insignificance” Copernicanism appears to impose. We cling to “significance” and “self-importance”, but this is precisely what prevents us from realising our oneness with everything. I wrote a short piece on this, transposing the egotism on to ants. I could paste it here if I can find it. Do you think the internet and digital obsession is leading to more stupidity, or do you think most people have never taken knowledge on board? People seem to read books less and less, taking instead to digital reading, which is not reading, but swift and impatient skimming. Knowledge of history, for example, which was general among schoolkids of my day, is now nil for many. The young here are ignorant of what were basic household names – like Laurel and Hardy. As to history, I am meeting people who think 1066 was Hitler’s invasion – ! – and in geography, holiday makers asked in panic for assurance that Spain is not near Iraq! As to evolution, people are astonished that anyone believes in it. People are also more knee-jerk and violent in their responses to one another, and the ignorant, proud to be so, mock and ridicule the educated. Well, if one looks at the last millennium, people are far more educated now than they ever have been. That’s not to say aspects of our education aren’t slipping though. But internet I think makes a wide variety of information easily accessible. But, as you note, there’s a lot of poorly verified information out there, which some people take at face value. Frankly, part of our education should include how to use the internet with skepticism. “And so, vengeance came upon the conspirators, Hypatia and her Greek astronomers, who said the Earth moved and revolved around the Sun, as though Man, made in the image of God, were nothing. ‘Twas their own fault. They rejected the blessed account given in the scriptures of our fathers that the Earth, fashioned by the Creator, is the centre of all that is created and Man the mirror image of his Lord. Humans want to be significant. They worry about being insignificant. But significance and insignificance are only existent within a context, and that context is personal and social only. It bears no relation to cosmology or to natural philosophy. It is linked with the illusion of self. What is significance or insignificance? They are both prejudices of the self-obsessed being. Neither exist apart from perception. Or rather, lack of perception. We are neither significant nor insignificant. “We” are not even separate entities. So whether we are significant or insignificant has no meaning in cosmology, only in society. They have told me that I am a Copernican and a Darwinist because I never leave the house and do not move in the real world. Surrounded by my books, I am a “book person” who knows nothing of reality! I mean, friends of mine have said that. Thank you (Grecian philosopher)! That is a lovely compliment. There is no doubt that the digital age with its surfeit of information has led to a fall in literacy and in actual reading. The disappearance of bookshops is tragic, and also we are losing more than we are gaining. Children are no longer enjoying the wonder of books. The e-book and the internet turn reading into mere text and the bland machine has replaced the beautiful printed tome. Vocabulary is dire and self-promotion through inane digital chatter is the norm. Swamped by information, but without the love of books and the means to deal with the deluge (mostly semi-literate), it is no wonder that confusion abounds and the desperate grasp at every fad going (e.g. flat earthism). There is no longer the sense of history. History is paramount for civilization.